Since 2010 our objective has been simple, but ambitious: operate a free, volunteer-powered health clinic that provides high-quality, primary care to the hard working uninsured men and women in our community. 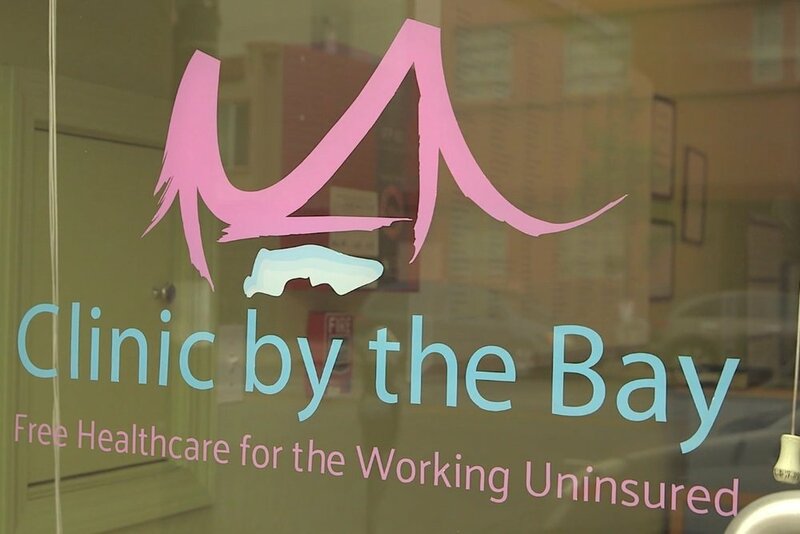 Clinic by the Bay is the safety net for those who have no affordable option for high-quality, compassionate primary, acute, chronic or preventative medical care. We believe our patients have a right to comprehensive healthcare. Our services are for uninsured adults living or working in the Bay Area. All Clinic services are free. We do not accept government funding or insurance; we are 100% privately funded and supported by our community. For every $1 donated, more than $2 is received in pro bono services. There are many ways to give. Practice the art of medicine, not the business of healthcare. Not only does Clinic by the Bay offer equitable healthcare, we also provide an opportunity for meaningful civic engagement. Medical and non-medical roles are available.